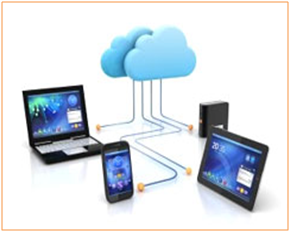 As more and more GIS functionality is hurled into the cloud, it is only natural that this technology will move beyond simple search and discovery of data onto more advanced geo-processing capabilities. When the Open Geospatial Consortium (OGC) first released the Web Map Service (WMS) spec in 2000, it defined a new way for online GIS users to share data over the web. Subsequent releases of standards such as Web Feature Service (WFS), Web Coverage Service (WCS), Web Processing Service (WPS), and Web Coverage Processing Service (WCPS) have moved the industry forward by leaps and bounds, and given GIS developers common ground to stand on when gathering, analyzing, and disseminating information. The advent of cloud computing and it’s adoption by the geospatial industry, combined with some of the newer specs such as Esri’s GeoServices REST Specification, have made it even easier to host and run advanced image analysis functionality in the cloud. Furthermore, adoption of standards by large entities such as NGA, and the guidance provided by entities such as OGC have created a new push for analysis functionality that leverages open standards while maintaining middle-ware agnostic interoperability. Several companies are building such functionality, and the potential rewards for the community are great. The move of technology into the mainstream often necessitates a simpler approach to leveraging that technology. As Image Analysis moves into the cloud, advanced functions will be able to be run by non-technical users from thin and mobile clients. Some may lament this simplification of the technology; however I don’t hear anyone complaining about the plug-and-playability of an iPhone. Simplifying technology is what moves it into the mainstream of commercial markets and allows it to be leveraged by non-technical users around the world. The information available via Image Analysis is limitless, particularly when combined with other GIS resources, and in order to move this information (and consumption of the processes used to create this information) into the mainstream it needs to be accessible and understandable by all. The adoption of standards by guiding entities within the industry, combined with the innovations of software companies who are creating analysis functionality for dissemination within the cloud, will usher in a new era of image analysis that is sure to reach beyond the desktop experts of today…. 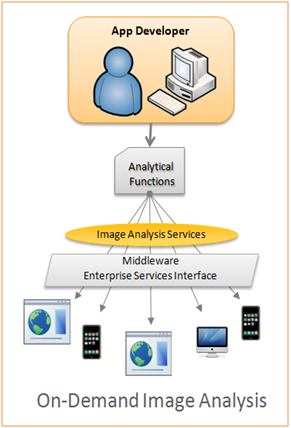 How do you see cloud technology driving interoperable analysis over the web?